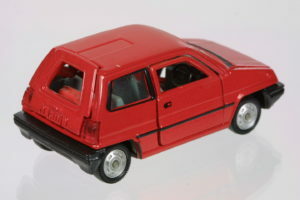 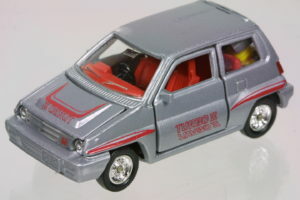 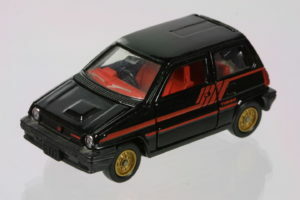 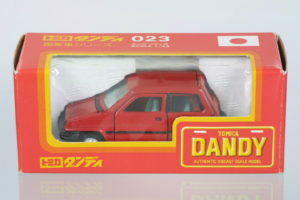 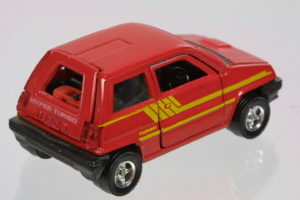 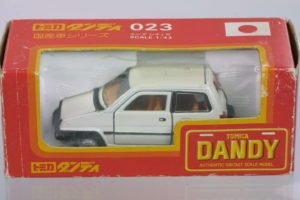 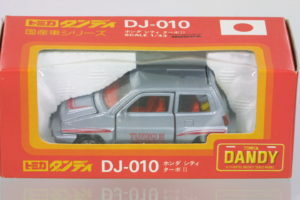 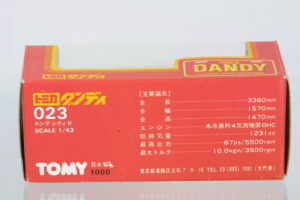 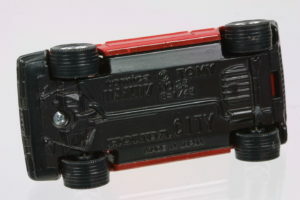 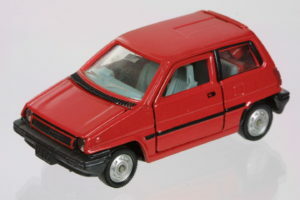 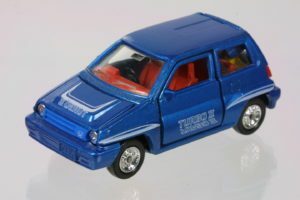 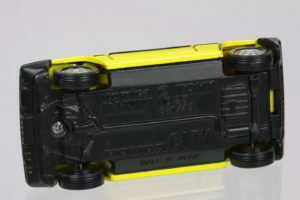 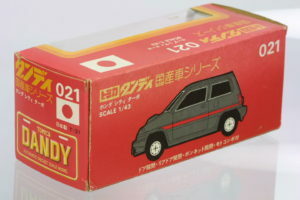 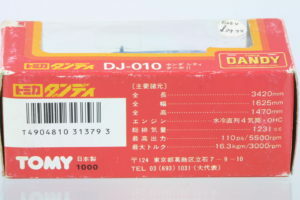 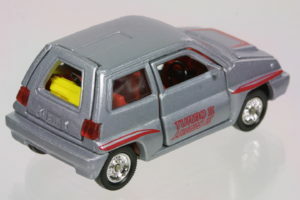 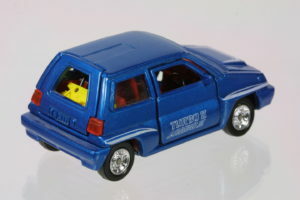 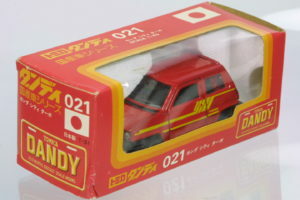 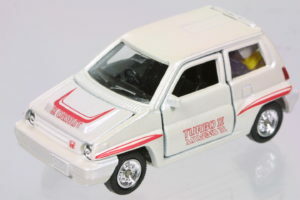 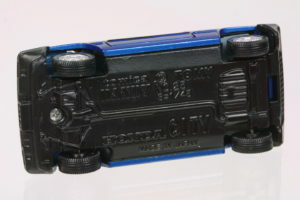 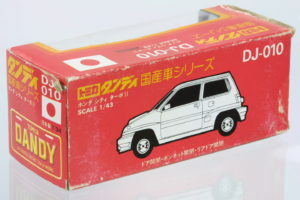 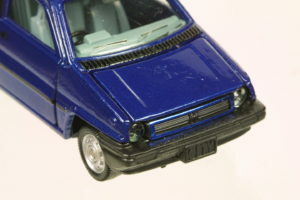 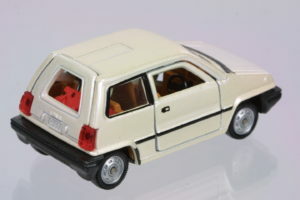 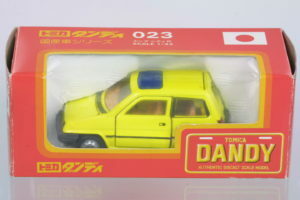 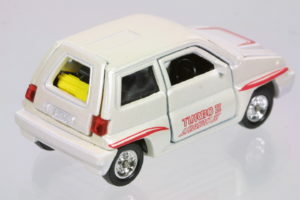 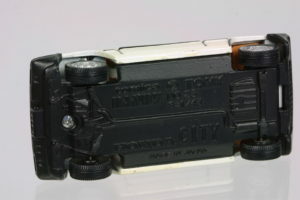 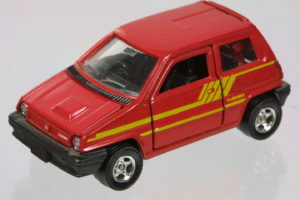 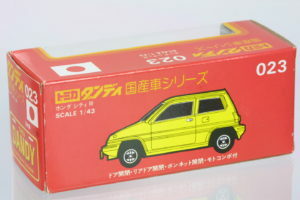 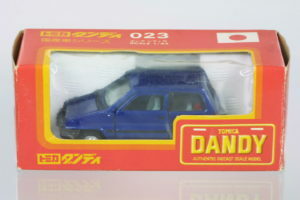 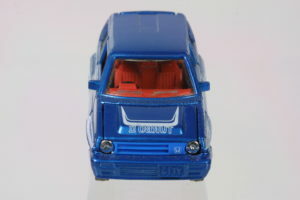 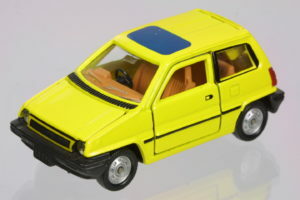 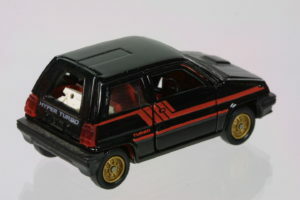 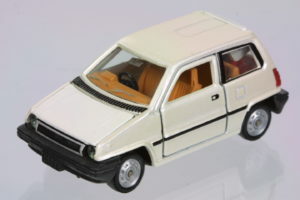 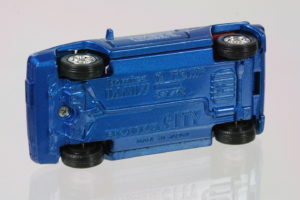 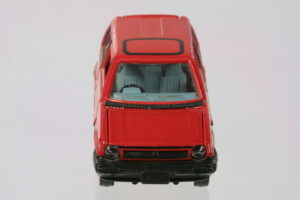 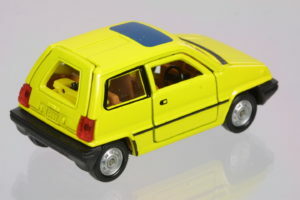 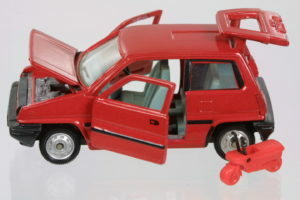 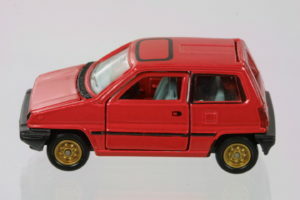 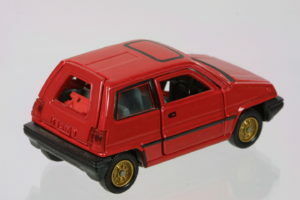 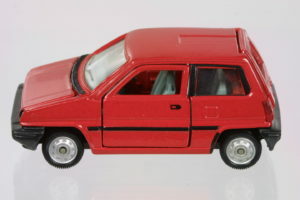 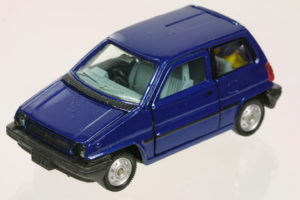 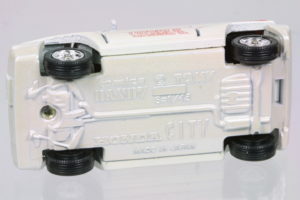 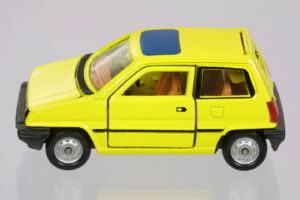 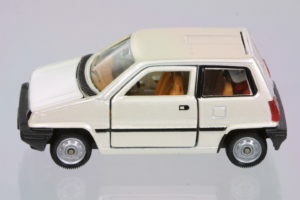 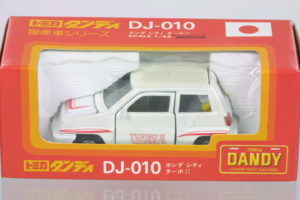 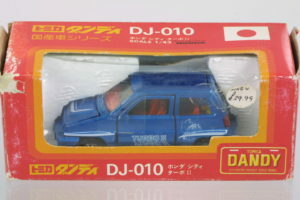 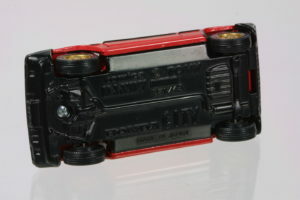 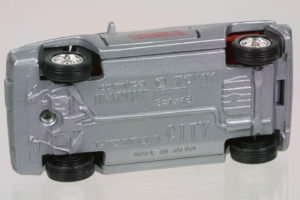 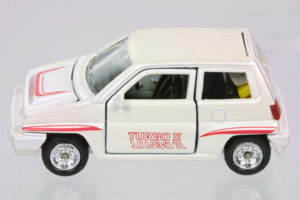 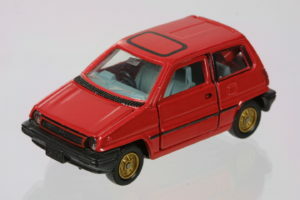 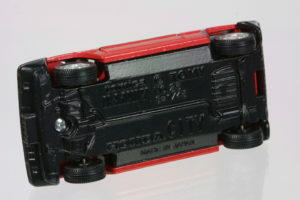 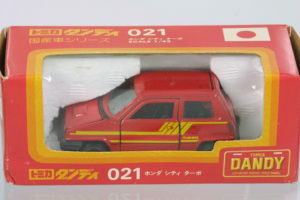 Tomica’s 1:43 Dandy series City and City II Turbo. 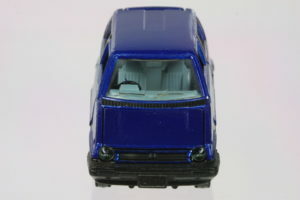 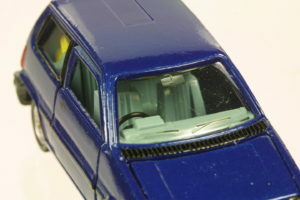 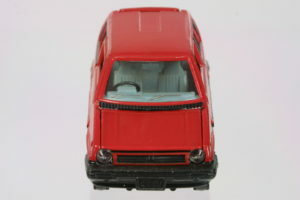 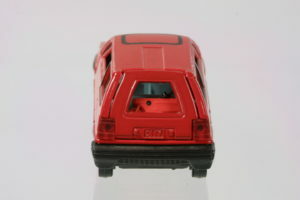 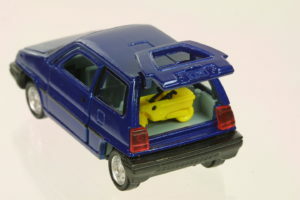 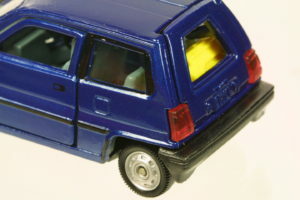 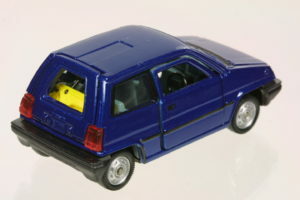 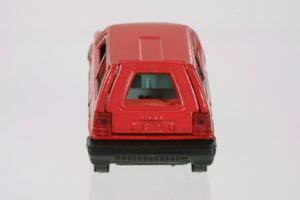 They all come with a Motocompo in the rear hatch area – in most cases a different color depending on the color of the car. 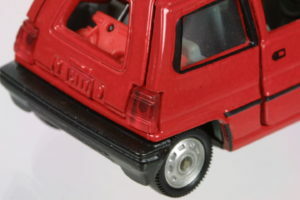 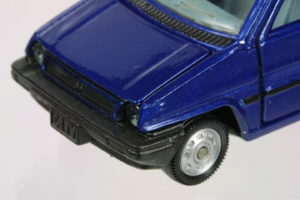 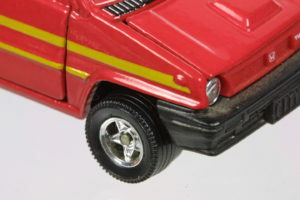 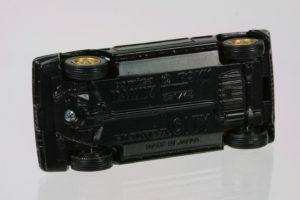 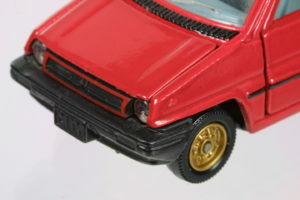 The wheel variations are also surprising for what is meant to be more of a toy than a detailed model. 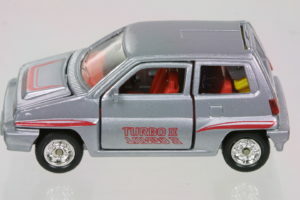 The base models have silver steel wheels, while the Turbo has gold alloys. 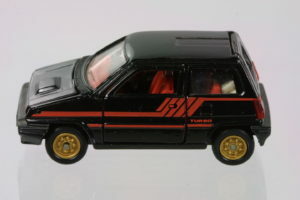 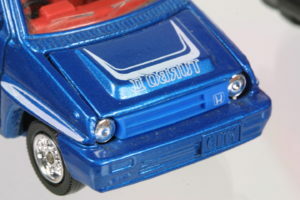 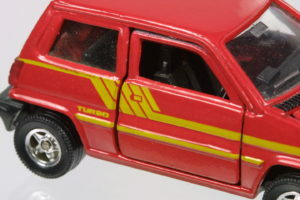 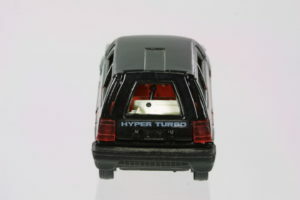 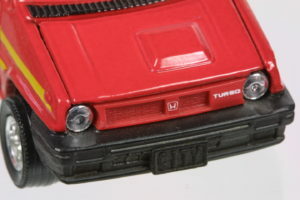 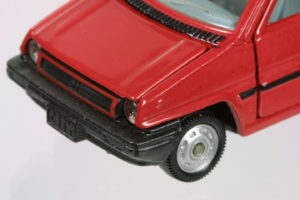 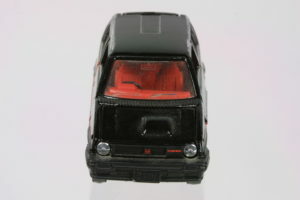 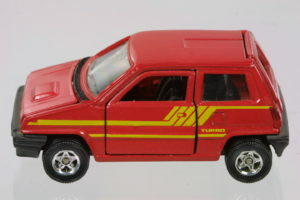 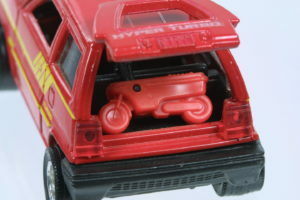 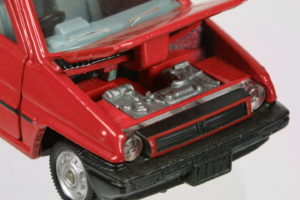 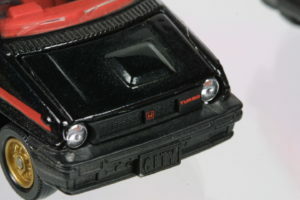 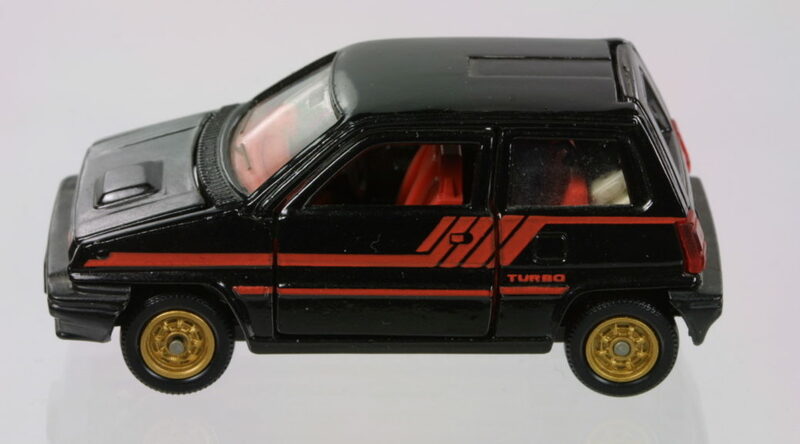 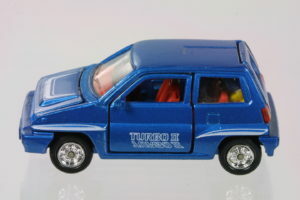 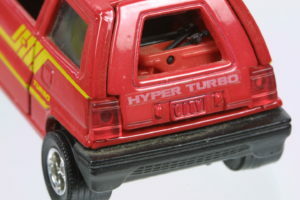 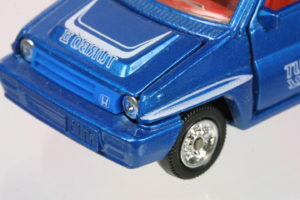 The Turbo II has chrome wheels. 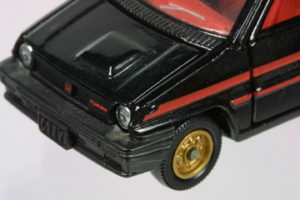 The Hyper Turbos have gold wheels for the black car and chrome 5 spokes for the red car.